Today we took 4 vehicles, a tractor, and 11 people to the Fountain area (north Bay County). We had 4 addresses we got from Monday, and I also gathered several addresses from other sources. We assisted 10 households altogether. 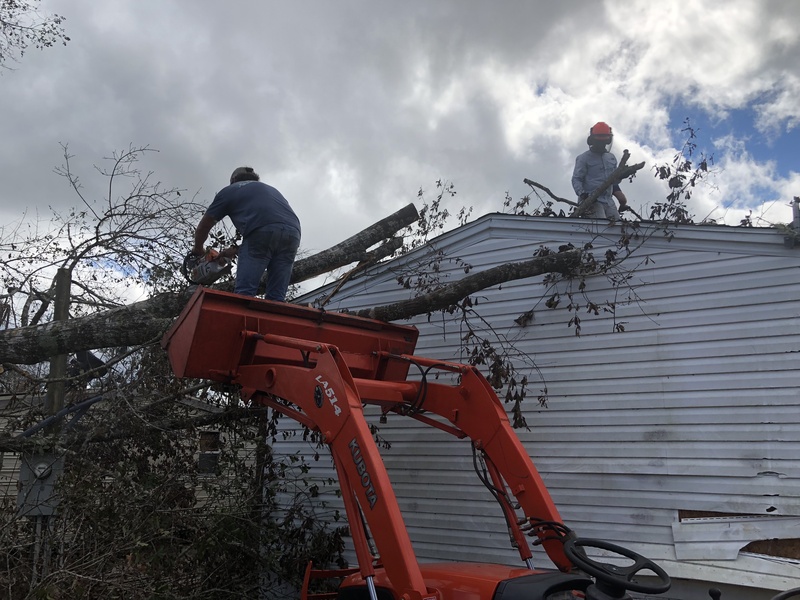 3 houses were tarped, and 4 houses involved significant chainsaw / tractor work to get trees off houses, cars, and moved from around houses. Most of the homes we assisted were mobile homes. The people were elderly and young families. Most did not have power yet. Those that I asked did not have insurance. 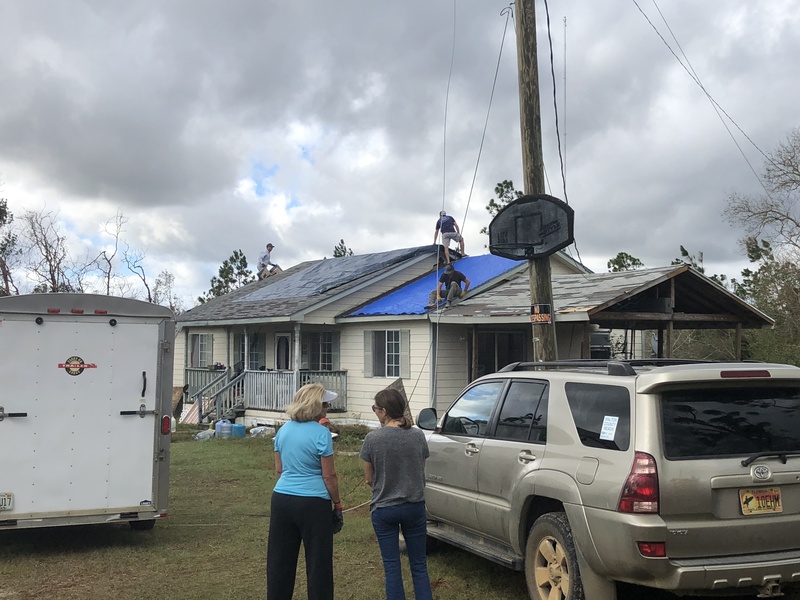 We handed out a few supplies and ice, but we see the needs changing as tree removal, electricity hookup, and tarping, and ultimately permament roof repair or replacement, seems to be the next phase in the relief efforts. The roofs of the houses we helped were not destroyed – they were reparable. 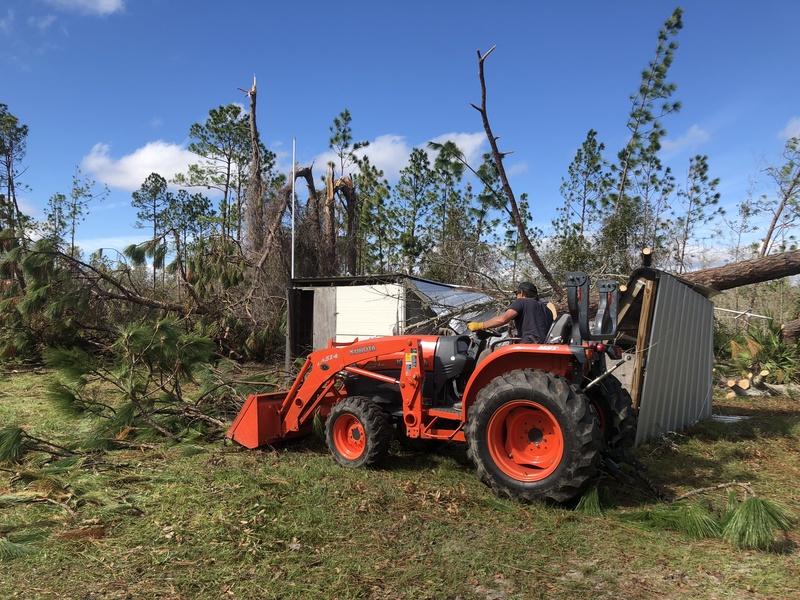 Having a tractor was a huge help (and sometime a necessity) with tree removal.